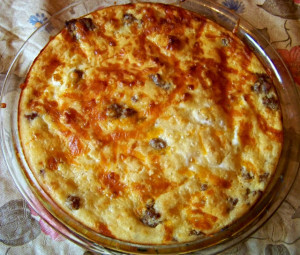 Try this Impossible Cheeseburger Pie the next time you need a simple family-pleasing meal. With flavors kids love made at home, you’ll love this too. By the time you read this, I’ll be settling into a large cabin by a lake in the mountains of Utah. Perhaps I’m sitting on the porch with a lemonade visiting with aunts, uncles and cousins, watching the kids run free. Every 4 years my mom’s side of the family holds a reunion. The location changes depending on who is in charge that year. Lots of fun things are planned, from paintball to swimming. It should be a wonderful weekend. Since I’m headed out I asked Tammy from Creative K Kids if she would guest post for you today. I just haven’t had time to create any new recipes, or perfect some in the works recipes. She kindly accepted my request, and is sharing what looks like a yummy and kid friendly meal! 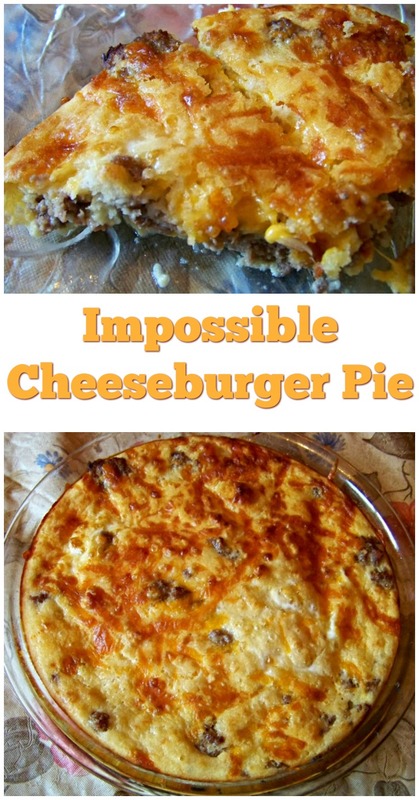 The following recipe for Impossible Cheeseburger Pie is super-duper easy. My mom used to make it in my growing up years, and now I make it for our family. All of the ingredients go in a pie dish, bake it, and voilà! It’s done! Even though it takes 25 minutes to bake, after you brown the ground beef, the rest of it can be thrown together very quickly. Cook ground beef and onion; drain. Spread in greased 9" pie plate; sprinkle with cheese. Stir remaining ingredients with fork until blended. Bake 25 minutes at 400F or until knife inserted in center comes out clean. 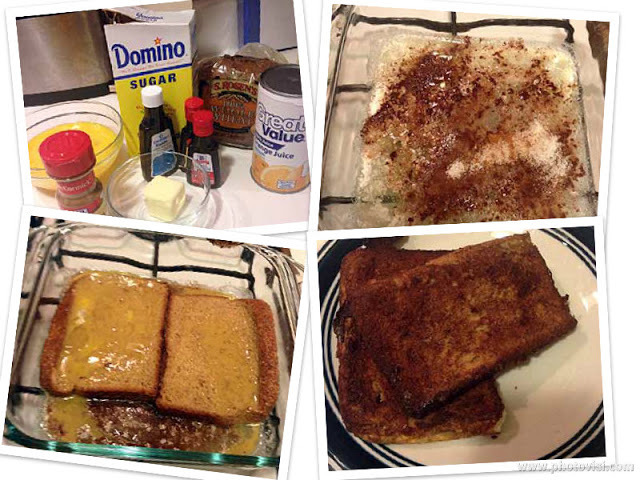 Baking instead of frying makes this French toast “puffier and fluffier”. Sounds good to me! I love cheesecake. I don’t care for Cream Puffs. Combined, I want to eat them all! 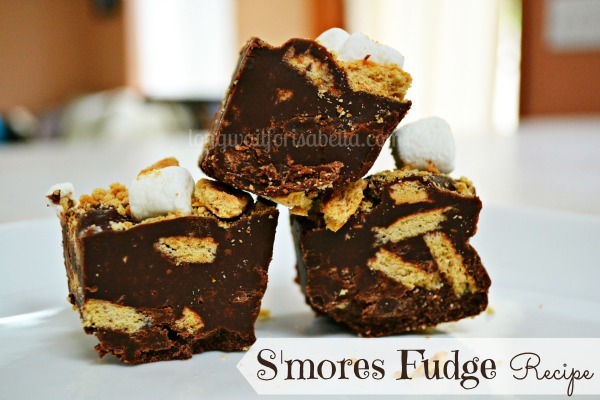 I’m all about s’mores this summer. This non-messy treat is sure to delight just as much. Those are yummy goodies.Thanks for hosting and sharing.Have a great weekend. Thanks for hosting as always! And love the guest post from Tammy…headed over to her blog now! 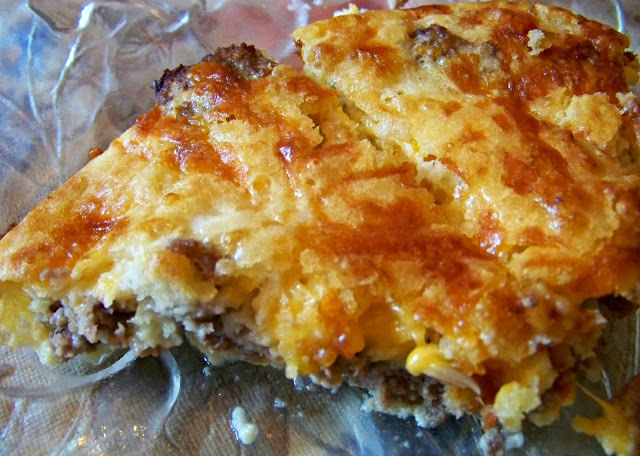 That cheeseburger pie looks so goo I want to see what else she has come up with! Your Cheeseburger Pie looks delicious and very comforting, we just love that classic pie. Hope you are having a great week and thanks so much for hosting a great party! Have a wonderful time Adelina you deserve the break. Love the cheese pie from Tammy such ultimate comfort food.